PESHAWAR: Prime Minister Nawaz Sharif announced the establishment of an international airport in Bannu, alongside other development projects in Khyber Pakhtunkhwa (KP) on Tuesday. "We will build an international airport in Bannu," the premier told a cheering crowd. "Repeat with me: This is 'Naya Pakistan'," he hit out at the Pakistan Tehreek-i-Insaf (PTI) with their oft-repeated slogan. In an address ostensibly aimed at wooing voters away from the ruling party in KP, Nawaz announced uplift projects for the province and lashed out at the PTI as both parties continue to trade barbs over Panamagate. A war of words between opposition leaders and the government has escalated over the past few weeks, with some opposition parties holding anti-corruption rallies and calling for the PM's resignation over allegations of corruption after the Panama Papers revealed the Sharif family's offshore holdings. 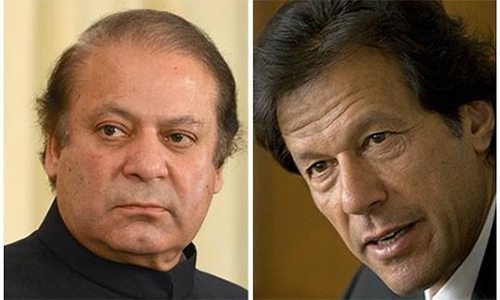 Nawaz aggressively hit out at the PTI at the joint press conference alongside JUI-F chief Maulana Fazlur Rehman who last week assured the premier of his party’s all-out support in the wake of Panama leaks crisis. "I wanted to see 'Naya Pakistan' but I was disappointed," he told his audience. "Where is 'Naya Pakhtunkhwa? When I go to Peshawar, Mansehra, Shinkiari and other parts of KP, I don't see it. When I come to Bannu, I see old roads, old buildings, old schools, old hospitals." 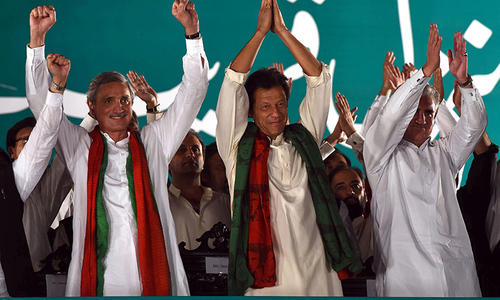 "Two years they cried about 'dhandli' and took out protests," he said, without naming the PTI. 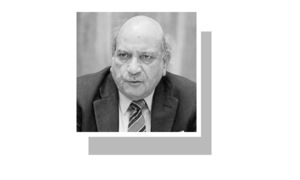 "When the case went to the Supreme Court (SC), which ruled there had been no rigging in the elections, it was a slap to their faces but they didn't even apologise," Nawaz thundered. "They are making the same baseless allegations... If corruption of even one penny is proven, I will go home," he said. "We will build a new Bannu," he assured the crowd. "It is not our government, but we are here to serve you," he said, adding, "They are not doing anything." The premier, however, fumbled as he announced uplift projects for the province and had to be prompted on multiple occasions. "The first part of this project..." he began. "What was it? Pardon me." 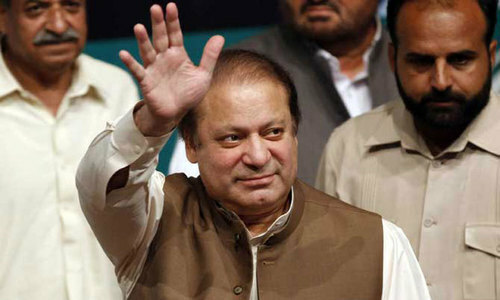 Nawaz recovered from the initial setback quickly and went on to announce a series of infrastructural and power projects for KP, including a university in Lakki Marwat, development of the Baran Dam in Bannu, an electricity transmission project for Bannu and reparation of the Indus Highway from Rangeela to Dera Ismail Khan. 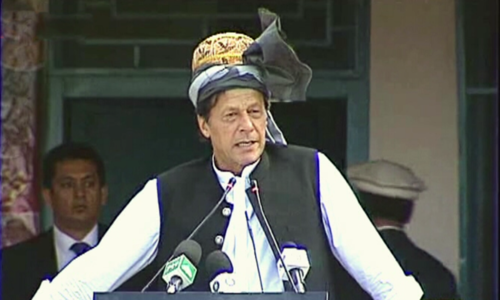 The PM's visit to Bannu comes a day after he announced the National Health Programme for 76,000 families in Balochistan, as well as other development projects in the province. Days earlier, the PM paid a visit to Mansehra where he also announced uplift projects. Our PM and his brother continue investing infrastructure and not in human development. They know if majority of Pakistanies become educated, they will never be voted. To put it shortly, he is bribing the nation to stay silent on his crimes. Need it on the ground please! International Airport at Bannu , looks like a joke ! 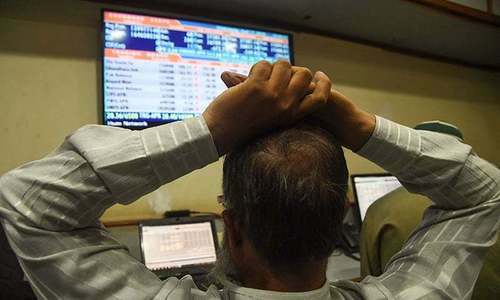 People having devastated the country already are chanting "Naya Pakistan". 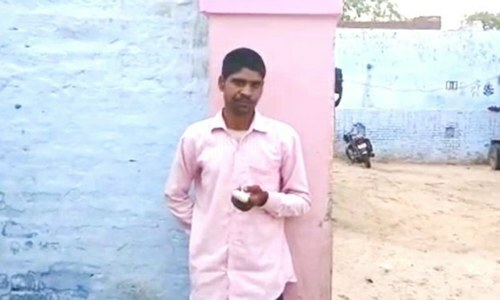 I must salute the followers who have been persistently voting them since years and years without ever thinking what has he given them in return. You haven't built it yet it's just an announcement.and we know how good is these politicians memory.by the way all this you are doing its because of Imran khan's strong opposition . Good job Mr PM..Keep on doing excellent work..
Not gonna happen just political announcement. ..
Real development of a Nation can not be judged by the infrastructure. What if a Earthquake or Cyclone raze the infrastructure? 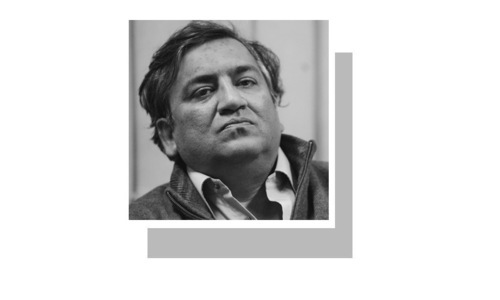 is this PML-N's Naya pakistan sustainable? If you build the nation, you can sustain many earthquakes and cyclone and you can rebuild again and again. We need to work on Education, Health and Justice. Who need an airport when he cant afford education! I've never understood why Nawaz Sharif is so unpopular despite the progress he has made in his term. Whilst economic progress has been neglected by leaders prior to Sharif, he managed to advance the CPEC, allowing for an array of new investment opportunities which Pakistan so badly needs. 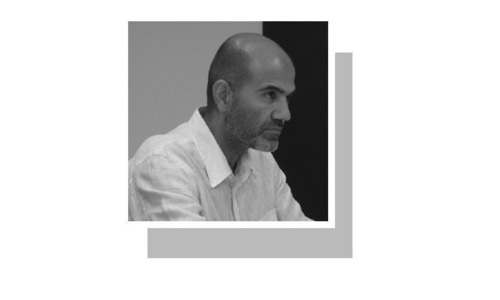 Aside from this, he's devoted funds to rural Balochistan/Sindh, areas that are not only neglected by the federal government, but even the respective provinces' state governments. I really can't see what Imran Khan can do that Nawaz Sharif isn't doing already. Keep up the Good work, healthy opposition is good for the country, but any anti-Nation stance will not be accepted at any cost. PTI wasted their time and energy instead of concentrating on KP and showing what they could do. would he have announced these projects if PTI was not ruling in KP? Again nothing announced for infrastructure, only buildings and roads with taxpayer money. And which airline would operate international flights from this airport? Airlines go to losses because of these political reasons where economic feasibility is not taken into consideration. Suddenly the PM has woken up to the backwardness of KP...where was he in the last 30 years. PMLN was in power in KP from 1997-99. Moreover he is not building these projects, which are still only announcements, from his pocket. No matter how much development projects he announces, he has to answer about his undeclared assets. It is as simple as that. another political stunt-the premium not really concerned with the welfare of Banu's people. really, i can bet millions of dollars that these projects are fake. by the way this is naya KP where you can hold rallies and gatherings. please build hospitals in punjab where in laya 32 people died because there were no facilities there. and dozens died road accidents every month on miyanwali roads. Way to go NS, you rock ! This is good move of PTI to get maximum out of the Federal funds just by creating rivalry. Whatever PM says in slogans, the benefit would go to PTI for getting their job done without lifting their own fingers. Mr. PM what you will not understand is the long term reforms that have taken place in police, healthcare, education, environment (Billion Tree Plantation), industrial policy, breaking up of timber mafia etc. Infrastructure projects are a bye product of human development. Not the other way around. One can clearly see, the type of development possible under PML-N is the type that can deliver kickbacks before 2018. No increased funds for healthcare, poverty reduction, education, reform and modern equipment for police, reform and enlargement of judiciary, construction of desperately needed water reservoirs, dams, potable water processing and purification, sewage works and under ground drainage and waste gutters. This is what we want. going to peshawar airport from Dist. Tank takes 6 hours while airport in bannu will be 2 hours journey only.. Weldon PM and Thank you. If he can just get the new ISB airport completed sometime this decade, that would be an achievement. Never seen a major international airport construction take nearly 20 years!!! The present airport has been designated as the worst airport in the world, and he's taking about Bannu?? Exactly how many from Bannu travel abroad or even within the country by air from this town?? Publicity stunt!. He promise a highway from Malakand to Kalam in 1990s. 20 years on and nothing happened. May be the allocated money is in Panama now!!! NS seems to be on a roll to introduce new programmes, projects and initiatives.. Sounds like a bolt of lightening landed some where in ISB or Lahore and suddenly a Eureka moment! I tend to think it reeks of desperation to do some damage repair after Panama leaks. projects for PML(n) are source of generating hefty commissions and grounds to appease PML(n) Politicians.Nawaz Sharif tackling rivals pressure with uselessly spending state money. Nawaz always succumbed when in pressure. I think we should keep him in pressure all the time. I find it funny how all of a sudden there are massive project announcements just after pressure of accountability. I don't know how people still fall into his traps but it's the very problem of pakistan every time. These announcements are just words as a part of verbal activity for diversion against the investigation of corruption and nothing will happen on the ground. Could you announce anything for Layyah, the least developed district of Punjab, that is in the province you govern? A district/tehsil hospital upgrades? Well, upgrade would be a wrong word here, a mere maintenance would do. This is the city where PML-N swept all NA seats and holds 3/5 PA seats with a turnout of 70% (still wondering how that was possible) and what it gets in return? Please Mr. PM present economic feasibility of this project as well. Including details of total population of the area that will benefit from this airport. How many people in that area are abroad ? How much budget is allocated ? How much income is expected ? Mr P.M you have definitely turned the fate of Pakistan. Positive ranking by Moody's, Raheel appointment, terrorism eradication, infrastructures, roads, mass transit, industries and much more. This is making IK more and more anxious who kept quiet in Zaradri era because of Zardari poor performance. Now IK is out due to disturbance caused to him by development work in Pakistan. Go on Nawaz, nation is behind you. despite criticism, Baluchistan supported PML N and voted heavily for pmln a week ago. Bannu Airport is permanently closed and he is promising to turn it into an international airport. What about funding? The other day KPK government refused to provide funding for the agriculture package that NS announced. This project would go the same direction. This is hilarious saying that IK pressure is pushing PML N to perform. Why don't IK pressurize himself to perform in KPK? Good going Nawaz, you are indeed savior of Pakistan. your decision making is even appreciated by opposition and indeed your decision making has turned the fate of Pakistan., Raheel appointment will be remembered as on of the greatest ever decisions made by PM. Great going. Look at PTI no focus over work and now when faced with time pressure to perform they have started to blame others to look good. Focus on KPK and get votes. we will not vote on how well you blamed but how well you performed. Anxious times for PTI and it new found corrupt ally PPP. PPP is fighting corruption, can you imagine that? Bannu urgently needs good roads, hospital and schools not an international airport. You have got your priorities wrong Mr.PM. it is very ridiculous. more than 60p pakistan's population live below poverty line. they have nothing to eat, they have nothing to drink and more important is, education and health sector are at the brink of collapse, and you are establishing motorways and airports. making motorways and airports are not bad thing, but the matter of concern is that what should be the foremost priorities. We do not need new airports. We need a corruption free government. no hospitals, no universities, no power generation projects but super structures only! @Jaan Bhittani : Congrats you will get an access to nearby Airport however, the irony is you will still denied of having pure water, education, speedy and reliable justice, advance health care system and security of yourself and your children. 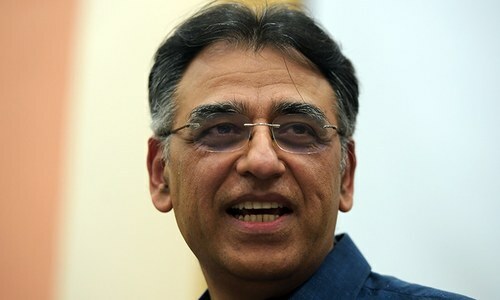 Re-quoting Asad Umer: constructing an Airport in war-torn Bannu is like, you have severely ill child at home and instead of giving him utmost treatments and medicines you bought him a new car and took him for a ride. How many people in bannu actually would travel internationally or domestically in a given year. Quit announcing projects that are only true to the extent of announcements. Educate the people, provide security and medical facilities. Those are basic needs. May be then open as many airports you want. Beware people of Bannu.... There is a charlatan in town! I'm just surprised how people are happy over a simple announcement. This is the reason why these politicians take your advantage and abuse your vote. Beware people of Pakistan, all this so called uplift projects are nothing but attempts at diverting public attention from the issue of OFFSHORE money laundering. Nawaz Sharif remain guilty unless proven innocent. @adnankharal why don't IK do development work without commission then? He should develop KPK and let everyone know he did it without any commission. IK is a total failure for KPK. Law of unintended consequences at play here. 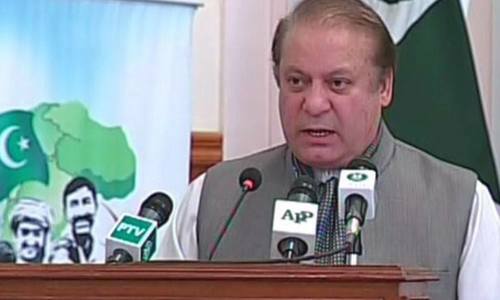 PM is on turbo-charged to announce new projects around the country in a matter of weeks. Thanks to IK. we want first our basic needs like health, school, jobs, clean water and security. NS is just fooling the nation all time. Airport in Bannu when Karachi University doesn't even have budget for chairs. Sir, when will education be your priority? Credit goes to PTI that PM is inaugurating development projects in KP. PTI keep the pressure high at least some development will happen. @Jahangir He is investing in people via long term reforms that have taken place in police, healthcare, education, environment industrial policy etc and these infrastructure projects are just the bye product of human development which will happen anyway once the foundation has been laid. @Haris - Very well said! What a "rich country".. one day announces Rs.144bn Havelian-Thakot Motorway in Mansehra & another day an "Airport" in Bannu.. When will he announce an Airport for Raiwind? 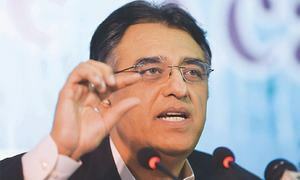 @Jahangir What if PTI within resources is doing development and not taking loan for mega projects ? Why make non feasible projects by taking loans ? @HARIS. Well said and who does not need all the facilities you described?. but let me tell you that thousands of people are traveling from Waziristan and northern districts of KPK through Peshawar Airport everyday and We know they are suffering. 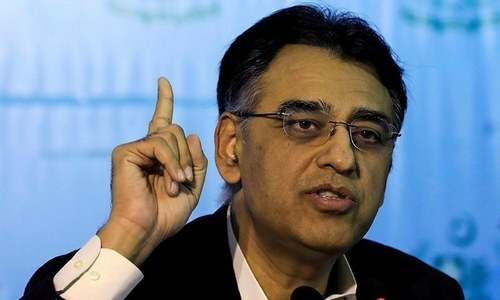 Quoting Asad Umar is funny because i am not sure he ever visit Bunnu. Healthcare facilities in Bannu are better then other districts in KPK. Good to see international airport at Bannu. Already there is a non functional air port of national level. Now Peshawar air port will get few rush of passengers. @Raheel only you can see reforms. we saw hospitals situation in kpk, a total disaster. where is tameer-e school? where is education? where are reforms altogether? are you trying to tell reforms in ehtisaab commission whose head has to resign because he witnessed record breaking corruption of 60% in KPK. or you are trying to tell us reforms in Police which is always asleep when talibans hit schools, even ik doesn't believe in KPK police and always demand rangers in KPK bi-elections. Reforms and that too long term, that's quite hilarious. IK has to deliver attract investment, build industries, build infrastrcutures, roads network to conneect all KPK. Education focus and that too no work except for empty slogans in KPP. An international airport in Bannu. Is he serious? The steady stream of empty promises start to build up as the opposition gets stronger on Panama papers. @Asad what if? again innocent PTI follower. pick up finance report of KPK more than half projects are financed through loans. This is another thing that PTI doesn't utilize half of development funds. But where these funds go? Another question. One more thing is that it surely depicts PTI empty slogans they develop nice budget and then ignore it and bring shame to KPK. @yawar - "people need their fundamental rights ... speedy justice, clean drinking water, gas, electricity, and better usage of taxes to count the least"
What you are asking for requires planning, devotion, focus and vision; traits that Nawaz does not possess. What can you expect from those who do not consider spending money on education a top priority. This is great news - we are not interested in Panama Leaks - can you build a similar international airport in Jhelum please? Bannu to have an international airport??? Why cant he improve the existing facilities of the international airports of this country first. @Jaan Bhittani So Bannu better than Lahore? and scores of people in Waziristan desperately in need of an Intl. Airport there. Good for you. @Jahangir, First comparing PML(n) which governed three time in federal and five time in punjab ,in punjab thrice under Nawaz sharif's brother.Most recently people have died because hopital in layyah has lac of facilities means poor people in poor area would die anyhow in case of mishap with them.First time PTI govt in KPK is doing far better even with its financial dependencies on federal govt in many areas.IK is hope who don't have mills like Nawaz's large bussiness empire exist in and out of country of poor people. Do we really need an int'l airport in Bannu?? or it is just an coaxing the nation away from reality. @Jahangir : first of all, KPK CM has recently asked the federal Govt. to release the promised funds meant for the development in the province by provincial Govt. Secondly, if you really wanted to draw comparisons then try thinking something rational. Look at the difference in the Police depts of both provinces. On fighting against the un-faced enemy on daily basis whereas the other failed miserably against bunch of known dacoits. Really likes the pressure democracy exert on politicians. NS is touring up and down the country announcing new projects. Would have been nice to have more schools and univetsities. Mr Khan, PPP, MQM etc will have to do the same. Good for Pakistan. People should realize this and never ever let the democracy be derailed again. PM is on crisis mode. Really don't understand why his emphasis is on infrastructure projects - roads, airports, trains, taxis - why not projects for quality education, hospitals, shelter, jobs. Is it very difficult to figure out what is REALLY needed in the Third World poor country like Pakistan? Well done PM. Pakistan Zindabad! Instead of building airport, he should built school, college & university. No point of even having a domestic airport in Bannu, let alone an international one. The local population over there is far too poor to allow any consistent revenue generation for airlines and due to law/order situation and lack of facilities, I don't find my tourist potential there either. Pakistani leaders don't seem to have vision to first provide basics: electricity, clean water, and proper sewerage. Where is a project for human development? Where are the functioning hospitals & schools ? No run to foreign counteries for treatment no matter who you are. @Zafar Ahmed I guess it's not a joke. We've already airport's runway in good condition. Just needs some operational building. Keep it up Mr Pm. @ali Please check facts PMLn led Punjab government is in the forefront of education reforms and school enrollment. Recent reports of alif alaan confirm the same. PMLn is investing in human resource development why else would they pay 2k per kid to got to school instead of work at the brick kiln. This is naya KP. Promised by IK. Built by NS by default-pressure exerted by IK. We're thankful to IK. Had he not prodded NS, there would be no Bannu airport or Hazara highway. Where were you NS before the Panama thing. Well done you English Doctor! Whatever your name is....the medical treatment that you vetted to our PM is working. @SAKhan: They don't even care to have feasibility study of Rapid Bus Transport in Lahore. Do you think they ever care for having one for this Airport. @Razor 1 I believe Parah Likha Punjab scheme was launched during Pervez Elahi's era. Naya pakistan is only there in Atta-ullah isakhelvi's song.. "banay ga naya pakistan"..
@Ahmed USA: I hope you have made these comments sarcastically. Seems like the Opposition pressure is working. Nawaz walked right into the trap they set for him. Lets see how PTI play their cards. Quickly trying to divert attention. All of sudden PM Sharif has thought about his 'Naya Pakistan'. Man would go to any length to divert people's attention from Panama Leaks. 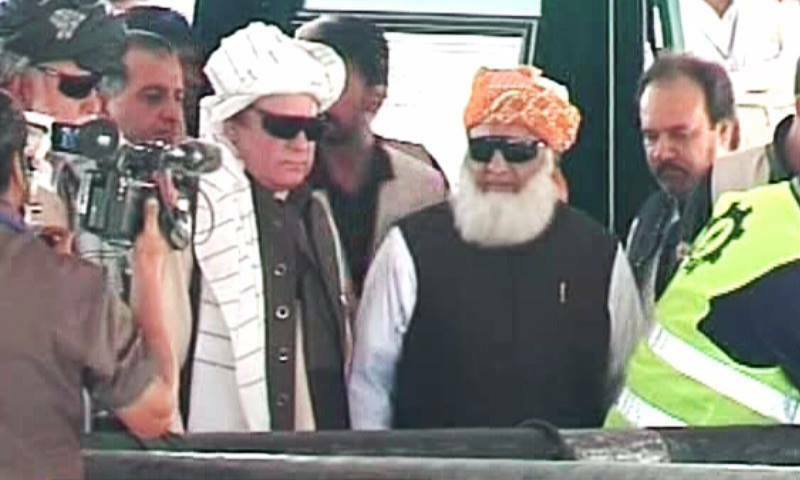 Standing beside him, Maulana Fazal, the man who has always sided with the power that be, ruling party, from Musharraf, Zardari and now Nawaz Sharif. This is the limit of his imagination. Shocked to see comments supporting NS. Not sure but why so much cheers from my Pakistani friends. Its just an announcement and I am sure it will take a lot in getting completed. Did PM committed any time line . Seems he is preparing for next elections in Pakistan. After all as I know its high number of seats in Punjab and few more seats from other states and you have government in Pakistan. What about the new Islamabad Airport which has been under construction since 2007-2008, but there is no mention of when it will be completed. That while the travelers and the residents of Islamabad/Rawalpindi keep suffering at the hands of what they call "Islamabad Airport". @tough talks - This airport has been on the cards for long time because South KPK needs an internation airport. This will reduce pressure from Peshawar airport from pessengers of south KPK and FATA. This will also reduce unnecessary congestion around Peshawar city center, where Peshawar airport is located and that road is always block due to high traffic. @oneCaring The problem is that when Karachi University gets chairs, there isn't much of a commission - no international bidding is involved. Build an airport, highway, train lines, power plant, and get outsiders to come in, and that is where the real money is. @M. Malik So true. Looks like people of Islamabad and Rawalpindi will be flying out of Bannu soon. The new Islamabad airport, Neelum Jhelum hydropower, Nandipur, and the list goes on. Is there any project of significance other than multi-colored lines that this govt has completed? The way ISB mew airport has been going, I expect Bannu Airport to be completed aroun 2050 - if ever. Consider the fact that new ISB project was kicked off, when there was no Burj Khalifa, or much of the high-rise towers; there was no Dubai Mall, and Dubai Airport used to consist of 3-4 small terminals with no bridges to the planes. Look at the how Dubai has been transformed in just two decades. This is a knee jerk reaction to announce projects at a record pace in the hope the anger of Panama Leaks subsides. These guys think the public is foolish. Congratulations. I admire NS. Best wishes from India. Continue on mega projects and neglect education and health care. Spending on education is the lowest in Pakistan in South Asia. NS fears that educated will never vote for corrupt rulers. Looks like this is only to distract its people from siding PTI. But our uneducated Pakistanis fall for this trap and have been falling for years by electing the wrong leaders all the time. Its more important to build an airport in Mirpur Azad-Kashmir because most Pakistanis fly to abroad to earn money and bring money home to feed families and economy. several analysts saying, and PM confirms today, that he has short term memory loss issues. @Alisha the reason is that the focus and spending for his gov't has not benefited the common man. 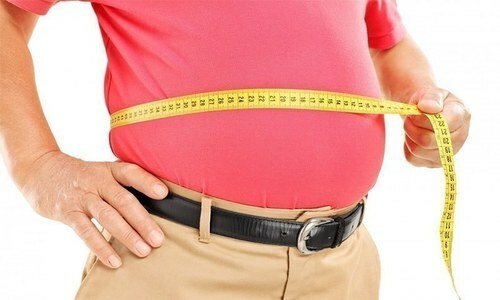 you cannot eat a motorway or drink an orange metro line. there is not a single eminent economist inside pakistan who supports ANY of NS economic policies. not one. thats why he's not popular. plus his family and him have enriched themselves while in politics. he was a millionaire before he joined, and now is a billionaire. surely you dont believe that is luck and good business skills. @Ahmed USA what we need is educational institutions, hospitals, clean water and elecelectricity like basic things not airports andshow case projects. Keep up the good work PM.... we are with you. @Zafar Ahmed why is this a joke? There are thousands of people from this area working in the Middle East. It is a great idea to save people hassle while coming home for vacation or during haj. Shariffs are only interested in construction projects for obvious reasons! They are not aware of the needs for progress in the 21st century! The decline of education sector especially the higher education speaks volumes about their leadership ineptitude! Thank You Imran Khan for motivating Nawaz Sharif to work hard for the masses. @Naveed For thousands of people you want to spend Billions. While the millions in Karachi have no mass transit, no water, no electricity, no schools, no hospitals. And that is the state of your biggest city - nothing to say about the rest! He couldn't complete Islamabad Airport. how can will build at Bannu It's nothing but bribing the people of KPK but the people at KPK have rejected him long before. Just another empty promise by Nawaz Sharif to silence his critics. Do not divert nation's attention with bogus developments in the country? Where is solution for Electric power, gas and water? Where is the solution to eradicate poverty and illiteracy, what are you doing for cheaper health plan for the nation? What are you doing for sky high inflation and steep prices of common commodities? Every step of the way you have shown that you are an incompetent PM. You are only good for your friends and family and their businesses. All of these contracts will go to your own circle's factories and mills. STOP FOOLING THE NATION. @Alisha the only difference is corruption. He is not doing any favour to nation by making roads. He is expanding his own business as well by money laundering . And btw in which country the prime minister makes bridges and roads . Only in Pakistan.here we don't even know what's the role of a PM. Schools in the area were closed because of his visit. Astonishing! This is naya Pakistan? This is excellent move. To link Bannu to the world. Pakistanis are aiming high in the world, not regionally as that is to easy and not a challenge. If the opposition keeps up the pressure regarding Panama Papers we will hear more about projects from P.M. If ever these projects see their completion that remains to be seen. As of now these announcement have the words "will be". Why do we need an international airport in Bannu? Why not spend that money on education, health, etc. I am sure people of Bannu would appreciate that a lot more than an international airport. what about 1000 schools u promised to build in earth quake affected areas back in dec 2014 when u visited hazara during ik's sit in? Its an announcement from a businessman not a PM. mega construction projects like this, will only help ITEFAQ Foundry by supplying construction material. End of the day it will be WIN situation for NS business not for Pakistan. @Ahmed USA, This is not the way to go, this is NOT the answer to questions of money laundering! @Arshad I just went to Pakistan and I saw more improvement in the last 3 years of Nawaz Sharif than in 5 years of Zardari and 10 years of Musharraf combined. There is a reason why the world has upgraded Pakistan's ranking economically under Nawaz Sharif. Don't let your personal bias hide facts.PS More electricty has been created and is one line now than ever existed the past 15 years ! Atleast IK made him do something good but need to see development on ground not just like pipe line in mansehra inaugrated 4 times out of which twice by NS...Innocent PM do not make fun of the nation. Do something practically. Isn't it funny. Planes need paying for but the airport construction announced. It is in the right order though. What use are planes w/o airport. Please let him do his job. Why keep pulling the legs of someone who has been delivering to the nation. All corruption charges must be processed through the legal process. This should be universal, not selective. Zardari avoided all the charges until they statute of limitation passed. No PTI , PPP or MQM leader raised the voice then.... Why now disturb all the projects and deprive the country......? Hands off KPK politics. Where were you all these years, when KPK was burning? The same old slogans. When you see old schools, hospitals, and roads. Don't you think you should have taken care of all these long time ago, as it is part of Pakistan too? No one has taken care of KPk before and no one will take care of it now, Except for Imran Khan. So let him put KPK on the straight and progressive path, which is free of corruption. You are free to do as much as you can for the rest of the country. And instead of building a new air port in Bunno, at least take care of the existing or a new airport in Peshawar. It is not even an airport. It is an old PAF base. How come Jamaat e Islami and JUI-F stands on opposite direction on Panama leak issue though they represent Islamic values? Isn't a new international airport supposed to be at least 250 kms away from an existing one , as the crow flies ? Well done PM! Better to implement the projects on emergent basis so that public woes are mitigated. If you do so, the nation must take pride in your leadership and the next turn to stay in power is also yours. Does Bannu really need an international airport? Does the Prime Minister knows the meaning and purpose of an International airport. It is not Orange or Green line ground transport system. Government has no funds for primary health services and education, but has all the funds to set up International Airport at BANNU where from traffic movement does not justify even a Feeder Services - Air service with smaller , 15-20 seats, aircraft. Prime Minister should revise his priorities - first Human Development, second Infrastructure. it is good that pml-n is also working in kpk areas. there are hardly a couple of occasions when imran khan inagurated such projects in the kpk. instead he is busy in punjab just to remove pml-n govt with no chance that he can become pm in place of nawaz sharif. 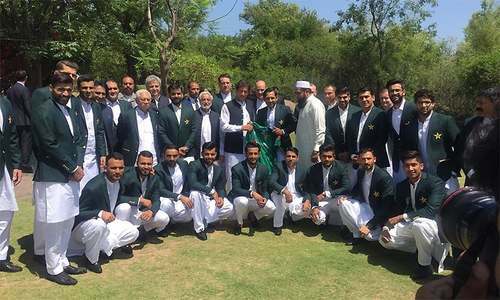 i think imran khan should show sportman spirit to complete rest two years and let the public decide who will rule them after 2018. he must show trust on election commission he has done lot of blunders but ignored by the public just because he is our national hero. bt every thing has the limit. if you want to become prime minister just u built a cancer hospital then abdul qadeer khan has 100000 per cent more right to become pm of pakistan. think abt it. PMLN should complete Islamabad new airport and then announce another one at Bannu. Probably, no juice is left in Islamabad Airport and hence a fresh project is needed. @Ali shah A basic course in economy will reveal to all the pessimists that you invest in human resources when you have continuous revenue stream coming in, not just one time but for long term. How would you generate the revenue stream if no one is willing to invest due to lack of infrastructure and unfavorable or hostile environment. You fix the environment and infrastructure and investment will follow. PMLN is correct in it's approach by first dealing with the cause and then going towards to use the revenues generated through the investment and taxes to invest in all other areas. Get new airport in Islamabad first. The capital has 20th century airport. The solution of everything is an airport or a motorway! @Umar Health education and justice are all provincial domain and we know how much ik govt achieved this goal. 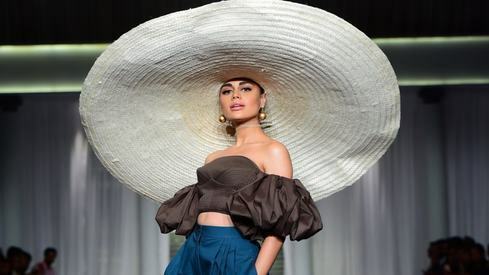 How about fixing the load shedding ? highways and airports only ? How does building new airport helps when people do not have money for bus fare. A better option is to invest the same money for industrial development so that people can have jobs and at least then they can afford bus fare to travel. Fine but if they don't have roads then why are you building an airport? Priorities! @Jaan Bhittani and how many people will fly. Or shall I day how many people in that area travel by air? If corruption is proven, I believe you will be going to jail,not home. Just a little diversion on his part, having a International airport in Bannu will not serve one single purpose. 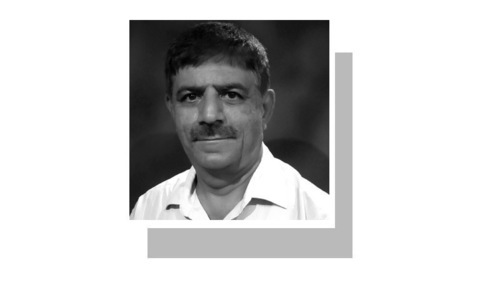 How about building a factory,a school and a university,free education for the good folks, that will bring jobs and education to Bannu and surrounding areas. @Zak oh just shut up its just a political move against IK it will be made in ages. Love love love from India Sir I will visit Bannu. Bannu International Airport... No Kidding!! what about Islamabad/Gandhara/Liaqat Ali Khan International Airport that was started in 1984... and is yet to be completed. @Maqsood Ahmad Why wasn't he doing his job for the past 3 years? Why now when PANAMA LEAKS is threatening him and when the opposition is uniting against this corrupt mafia? Why is he announcing development projects after the Panama leaks? He is trying to win the people support and YOU are falling in his trap. PM is convicted on tax invasion charges and he MUST MUST MUST stand independent inquiry. PM Nawaz Sharif Saab we don't want international Airport, sir we want free education for our children,free health care, clean drinking water, jobs, and cheap transport. Your children live in London, you also come to London every three months, London city over 250 railway stations. How many railway stations Pakistan has? We need railway tracks going city to city, town to town,building railway network is cheaper than motorways. Literacy rating Pakistan is bottom of the world listing, polio is only in Pakistan and Afghanistan, no where else in the world. We have no electric, no gas. I think you should go and live in London, let us have change in Pakistan. old roads old hospitals old schools are seen all over Pakistan.Announcing new schemes is easy but to implement and finalize them is difficult.Work on the hundreds of uplift schemes announced by NS in the past has not even started specially in Sind. How about setting the priorities up correctly? Why not finishing up Islamabad's new airport? Looking for new corridors of corruption? Do people in Bannu need a int'l airport or a hospitals and schools? @Zafar Ahmed Why an international airport in Bannu looks a joke to you? Had it been in Lahore then it would have been totally fine? Wait, there is one there already. But who minds the second one as long as it stays in Lahore. By the way Pakistan gets most of its remittances from the middle east sent mostly by the Pushtun workers. Majority of Pushtuns in middle east are from tribal around Bannu. In or around their tribal areas people do not have jobs or any other way of income. They are forced to chose to work in the testing conditions of the middle east. Now they are getting a promise of the airport and the pain had begun. I seriously doubt that NS will ever develop KP. International Airport in Bannu? And which airline will fly there? Have you done a case study? International Airlines don't even want to fly to Karachi, let alone Bannu. You will get stuck flying PIA out of that airport and will have to pay subsidies to cover the cost. For god's sake, its a city of 1 million people. Build schools, not airport. "You can not fool all the people all time" has been proved to be false. People like Nawaz Sharif, Shabaz Sharif, Asif Ali Zardari and Altaf Hussain has managed it beautifully. Well done gentlemen. I stand in awe! @ali Not only that, infrastructure means contracts and in turn means kickbacks. Also some body should find out if large chunks of land around the airport were bought? When they were bought? Legalize corruption in Naya Pakistan & you will win again NS. Thousands? Well I guess if the politicians think of the 100s who will benefit...the public should at least think of the thousands...in a country of 200 million. Unbelievable. All of these are federal projects.. whats so awesome about it? PMLn is at it again.. give a toffee to the masses. with the backing of JUIF.. hilarious.. WHy did he not declare these projects in a good time for the government.. it always comes when the going gets tough..